Hi! I'm glad you're here! 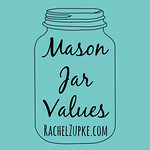 I'm Rachel, the voice behind Mason Jar Values. "Meet" me by watching this video or click here to watch it over on YouTube. If you'd like weekly updates from Mason Jar Values, fill in the boxes below. Tired of paying exorbitant prices for organic, whole milk yogurt at the grocery store? Want to be in control of the ingredients going into your family’s mouths and tummies? This recipe is for you. Plus, it makes killer waffles! Don’t take my word for it…make these yourself. I like to start this yogurt in the afternoon when I put the kids down for naps, turn it off (yes, you’ll see why) at dinner, and then finish prepping it before going to bed. A merge of two recipes, this yogurt is super simple and requires few ingredients (and special equipment!). Why combine two tested recipes? First, I found that regular crock pot yogurt often ended up too runny. I then had to strain it and that proved to be both tedious and messy (not to mention wasteful if I spilled any on the transfer!) so I scrapped that. The other recipe called for a yogurt maker and a separate pot to heat the milk in ahead of time (meaning you’d have to stand over the stove and monitor your milk plus have an one-job-only appliance which doesn’t fly around here) so that recipe wasn’t going to work either. That said, I combined the two and got the best of both worlds (at least, in yogurt terms). You still might want to strain it but I found that with the addition of gelatin, it’s thick enough to not require straining, though I can see why some might prefer that. Pour milk into a crock pot, place the lid on, and turn on to LOW. Set a timer for 2 hours and 45 minutes. Turn off the crock pot and set the timer for another 2 hours and 45 minutes. Remove 1/2 cup of milk from the crock pot and place in a mixing bowl. Add live, active culture yogurt and gelatin; whisk to combine. Add milk/yogurt/gelatin mixture back into the crock pot, stir to combine, and re-cover. Wrap the crock pot in a bath or beach towel and leave on the counter to culture for 8-12 hours. Remove crock from heating base and place in the fridge for another 4-6 hours to thicken. Option 1: leave as is, stirring whey into the yogurt. Store in glass jars of your choice and use/enjoy as you would normal store-bought yogurt. Option 2: before stirring, strain off excess whey that has risen to the top of the yogurt. Place a cheesecloth or coffee filter lined colander over a pie plate, pour in your yogurt, and let sit in the fridge for an hour. Strained whey can be used for lacto-fermentation (store whey in a glass jar in the fridge). Option 3: whisk the whey into the yogurt and then strain. This won’t result in as thick a yogurt but it will give you more of the lacto-fermented benefits of having the whey in your yogurt. Remove ½ cup of milk from the crock pot and place in a mixing bowl. Add live, active culture yogurt and gelatin; whisk to combine. Add milk/yogurt/gelatin mixture back into the crock pot, stir to combine, and re-cover. Wrap the crock pot in a bath or beach towel and leave on the counter to culture for 8-12 hours. Option 3: whisk the whey into the yogurt and then strain. This won't result in as thick a yogurt but it will give you more of the lacto-fermented benefits of having the whey in your yogurt. Place chicken, broth, fish sauce, cinnamon stick, anise, cloves, and ginger in the crock pot. Cook on high for 4 hours (or low for 8). Remove chicken breasts from the crock pot and set aside; add bok choy to crock pot and cook for 20 minutes on high. Chop or shred chicken. Add chicken and rice noodles to the crock pot and cook for 10 more minutes on high. Prep desired garnishes. Serve steaming hot loaded with fixin’s or as is. This is a great kid dish! For our three year old, I use a divided plate and put chicken in one, noodles in another, and broth in the third as “dip.” For our one year old, I put noodles and chicken right on his booster seat tray and he goes to town on it! 3-5 days before, start your own sprouts so you don’t have to buy them from the store. Sprouting is super easy and you can sprout your choice of beans or seeds. If you buy fresh chicken breasts from Costco, this recipe uses one of the sleeves of the multipacks you purchase in the fridge cases. If you buy organic, you’ll use one of 3 sleeves and one of 6 if you buy conventionally raised chicken. That helps me visualize when I’m meal planning for an entire month (click here to see what’s for dinner this month!). We (my husband, sister-in-law who lives with us, and myself) prefer a broth-y-er soup which is why there is so much chicken broth. If you like a smaller chicken-to-noodle-to-broth ratio, decrease the amount of broth to 10 or even 8 cups (but no less than that). On the subject of broth, if you don’t have your own homemade broth, Better Than Bouillon (aff link) is a great alternative. They have an organic, reduced sodium version that sells for less than $7 at Costco (which is nearly half the price at a grocery store). *Having something going in the crock pot that translates to a great meal is very important to me because it means that I can fulfill my desire to feed my family healthy, nutritious food while simultaneously following God’s call on my life to coach public high school athletes. It’s also awesome that my husband can come home from work to a relaxing environment, not one where dinner is hurriedly being thrown together or one in which he doesn’t get a break from the craziness of a workday filled with teenagers (he’s a high school science teacher). I want him to come home, be a dad, and engage at family dinner (to be clear, I want that for him…not something he’s demanded of me!). Well, what’d you think? 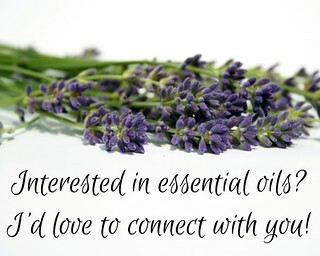 I’d love to hear in the comments! Copyright © 2012-2016 All work published on this site is created and managed by Rachel Zupke. For more information on affiliate links and usage guidelines, please refer to the fine print.